The Nordex Group has won a 30-MW order to renovate one of Acciona Energía’s oldest wind farm in Spain. In the second half of 2018, it will upgrade the 30-MW wind farm “El Cabrito” with twelve multi-megawatt turbines. 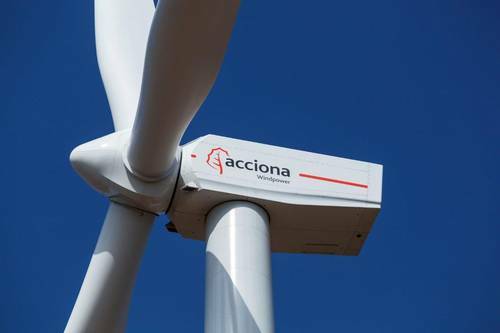 In this connection, Acciona Energia has opted for eight N100/3000 turbines and four AW70/1500 turbines that fit optimally in the existing wind farm layout. The contract provides for the delivery of the turbines as well as a guarantee for an initial period of two years. “El Cabrito” is situated on a mountain range near Tarifa in southern Spain where high wind speeds prevail. Acciona Energía will handle the dismantling of the older wind systems. “This project is something of an ideal constellation for us, as with it, we can demonstrate that wind power has gained substantially in efficiency and show that this kind of projects makes good ecological and economic sense,” says Patxi Landa, Chief Sales Officer of Nordex SE.